Reliable, Fun, Non-Smoking Retired Couple Ready to make your home and pets their number one priority! Flexible dates. Outstanding pet people! Hello. 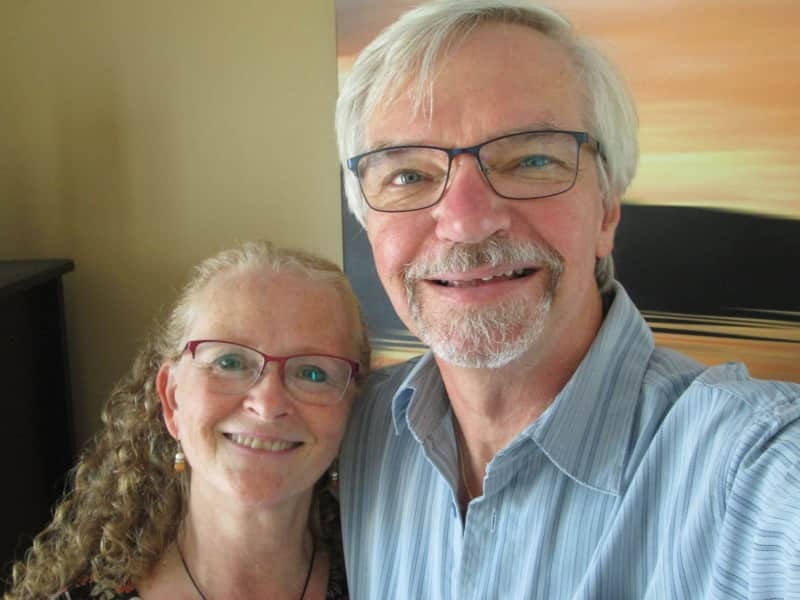 We’re Carol and Lawrence, a retired husband and wife team who enjoy doing new things and seeing new places. Being retired, we are very flexible with our availability and travel dates. It is important that you understand who we are so you can rest easy that we will care for those things that are most valuable to you. We are kindhearted, compassionate, friendly and fun. We are not just dog lovers and cat lovers but love animals of all kinds. We are vegan, non-smokers, avid readers who love music, sports, movies and nature. We have two grown daughters and 5 lovely grandchildren. I enjoy writing and have self-published several books on Buddhism in print and e-book formats. I’m a pretty crafty sort of a person ( I mean that in the best possible way!) I love to knit, quilt and work with stained glass - anything with my hands. Lawrence and I love to play board games, watch old movies, visit with friends and family, and search for treasures in our local thrift stores. I am the gardener of our little duo while my husband has experience with care and trimming of trees and shrubs and of course grass cutting! Between us, your gardens will be in good hands. We are reliable, trustworthy and responsible. In our previous home, I was Treasurer of the Strata Council for 4 years, managing investments for the entire community in the amount of over $500,000. 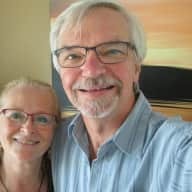 Throughout our careers, my husband handled multi-million dollar accounts as a Project Manager as well as many years as a certified inspector with the aviation industry. As a Registered Nurse, I spent my career in difficult and challenging areas such as the Intensive Care Unit, where I learned to stay calm, be compassionate and treat all life with respect. During the last few years prior to retirement, I launched and operated my own small business working as a senior companion and relocation expert. I was bonded and insured. These work and life experiences all speak to our responsible nature. We have been waiting for our time to travel and it’s finally here. We love that house sitting provides a wonderful opportunity to see how others live and why they love where they live! It allows us to visit a place and really see it from a local perspective. The second reason we want to house sit is the most important one and that is the animals. We have the freedom to travel now only because we no longer have our loving cat Maggie or just recently, our sweet dog Buddy. We miss them deeply. What this means for you is that we have a lot of time and love to give. Caring for your pets will be a genuine treat for us. Part of the joy of having a responsible house sitter is knowing that your pets will be able to comfortably remain in their own home and your time away will be much more enjoyable when you are certain that your home and pets are being well cared for in your absence. We want to be a part of that. Although we are fairly new to house sitting, we have had the privilege of renting accommodations from owners during our travels and have received 5 star follow-up ratings as clean, quiet, communicative tenants. We are home owners ourselves (we have owned several houses, both large and small) and understand the pride and love that owners feel for their homes. We have done many of our own small repairs and renovations so we are quite handy as well as experienced with contractors and workmen, should the need arise. We understand the ongoing work involved in maintaining a house and property. As far as experience with animals, we have had many pets throughout the years - everything from hamsters, rabbits, turtles, aquariums, a sweet guinea pig, several cats, several dogs and even injured birds. Our sweet dog Buddy required a lot of care as he had many allergies so we are used to the routines and attention to detail that some pets may require. As a retired Registered Nurse, I am familiar with injections and medications, should that be required. References from our veterinarian and from our dog breeder are available. We also have testimonials from employers available upon request. We have a current police check and we are open to discussing a security deposit should this be necessary. My husband and I are excited to travel but even more interested in all the wonderful pets and owners we have yet to meet. We are ready for the adventures that await us but just know that your house and pets will always be our top priority. You will find us to be reliable, compassionate and honest. We would be honored to lovingly care for your home and precious pets while you are away. Let’s talk! I have known Carol for many years and she has proven to be competent, reliable, honest person. She handles problems head on in an organized manner and does what is needed to get the situation corrected. As a long term pet owner herself, Carol has compassion and caretaking abilities necessary for loving, pet care and is attentive to all animal needs. When meeting these and all needs of a household, Carol is pleasant, neat, organized and above all, trustworthy. It is my great pleasure to write this reference for Carol. She is a kind, responsible person who loves all animals. Carol's calm and loving nature makes her the perfect person to look after your pets. In addition Carol is great at managing her time and dealing with whatever comes her way. She is respectful of people and animals and is very practical at handling day to day issues.